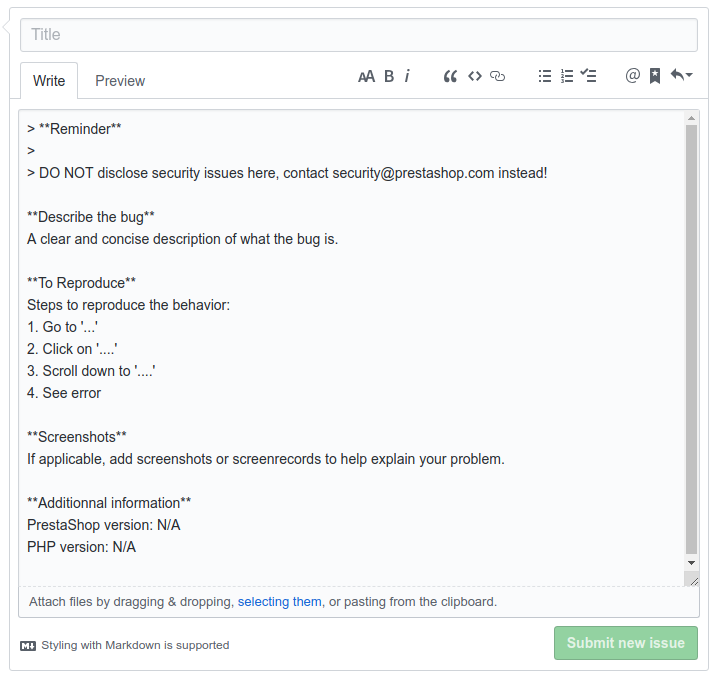 PrestaShop is using GitHub to track bugs and issues. This is the best place to describe bugs you are witnessing on your PrestaShop installation, and have the developers try to fix it. Fill all fields and validate your account request, then follow the different steps. 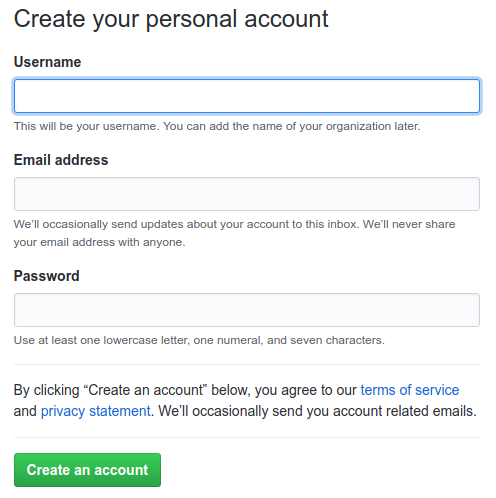 Once your account is validated, click here to log in. Click on the “New issue” button on the right. In order to fill the required information, just use the text editor. You can use the “preview” tab to see how your issue will be published. Describe the bug, a clear and concise description of what the bug is. To Reproduce, describe the different steps and information to reproduce the issue. Screenshots, add screenshots in this section. Additionnal information, like your version of PHP and Mysql and your server configuration. Click the “Submit new issue” button when you are done. These are inspired from Mozilla’s own guidelines. GitHub provides a very good documentation about how to write issues with it’s flavoured Markdown. It is possible to highlight code syntax, add pictures, or even to link issues and pull requests.